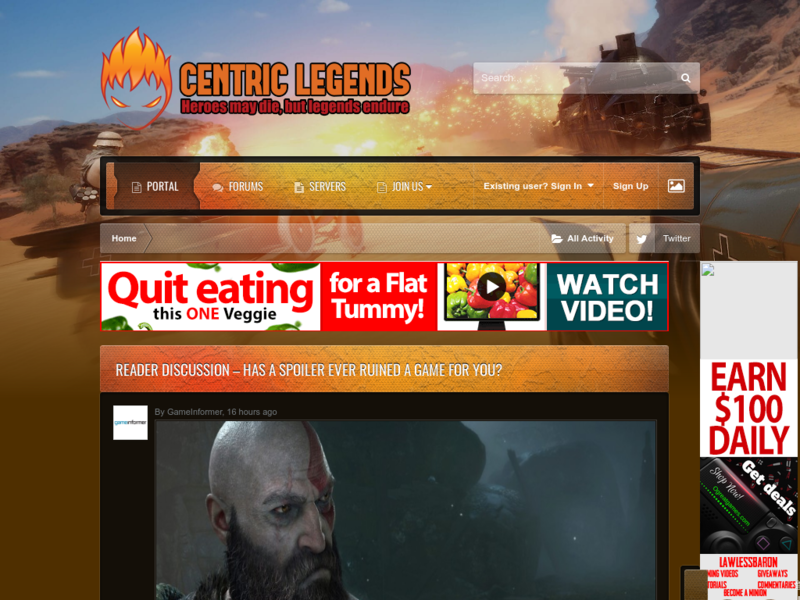 Centric Legends is an online video gaming community devoted to giving the best gaming experience for gamers all around the world. Video game news, industry analysis, impressions, reviews, and discussions of everything in the industry; covering all platforms, genres, and territories. Established since 2008, Centric Legends is a large, respected, multi-game group of members that play both competitively and casually. CentricLegends.com has ad-block detection that will display a warning to visitors asking them to disable their ad-blocker. This will ensure maximum impressions and clicks for our sponsors. We allow all types of ads including sensitive categories, at our discretion. Your banner should be professionally designed, tasteful and "safe for work".